This world geography worksheet has 30 questions. Some are fill-in-the-blank and some ask to provide definitions. 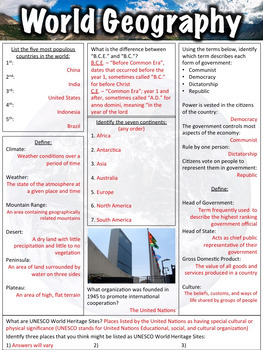 It was designed to be used with a free presentation that can be found here: Introduction to World Geography, but it can be used separately as well.